I left the “wishy washy” weather of Oregon last week and found the no-nonsense heat of Palm Desert. Wow, it felt so good to be warm. And, to my delight, Spring had sprung in the desert. My youngest son and I had a blast taking pictures of all of the new places and plants and animals. 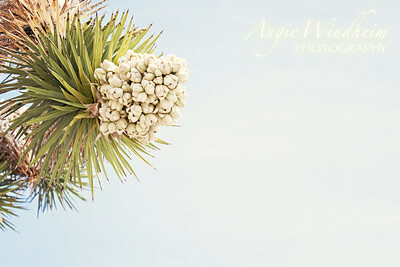 My favorite bloom of all was the Joshua Tree. This photo makes me feel warm, dry and happy…even though it’s nasty, wet and cold outside.